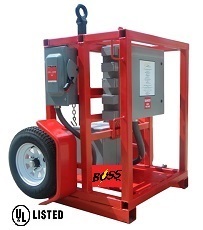 PORTABLE 480V-120V GFCI CARTS-SKIDS temporary job-site electric ground fault distribution products are common to all industrial construction sites throughout the USA and Canada. 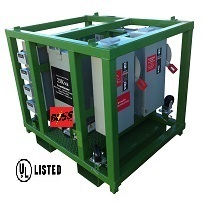 These products are available with 25kva UL1640 skid mounted, 25kva UL1640 Offshore models, 25kva UL1640 480V-120V GFCI cages, 20 foot 50kva gfci light towers, 50kva UL1640 towable, and 30kva UL1640 GFCI rubber wheel carts. 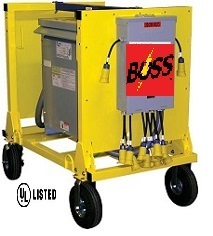 Bossltg is a UL1640 Certified job-site temporary electrical assembler for temp power products 600 volts and below. 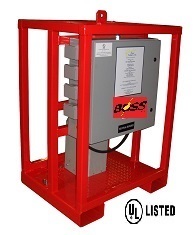 Boss is capable of assembling and UL Certifying Explosion Proof and Division 2 rated temp power systems. 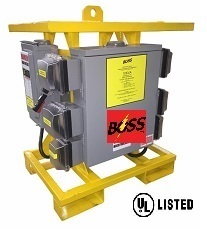 Clients can specify the size transformers they require for project apps and Boss will design the UL approved switchgear and load centers that will be acceptable for UL Certification. 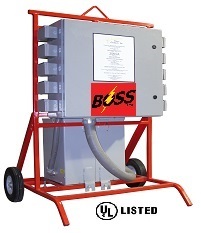 PORTABLE 480V-120V GFCI CARTS/SKIDS products are just a few of the many Portable UL1640 job-site temporary electrical distribution products that Bossltg offers. 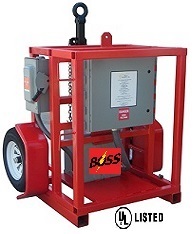 UL Certification available upon Client’s request. 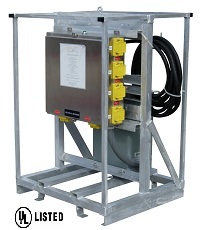 UL1640 Certified.